CARLSBAD — With construction of the Carlsbad seawater desalination plant soon underway, representatives for the Carlsbad Aquafarm anticipate that the new plant won’t have any effect on the aquafarm’s sustainable shellfish production. “I do not envision an impact on us other than them (the desalination plant) keeping up the work of keeping that lagoon good and open,” said Carlsbad Aquafarm’s Director of Science Dennis Peterson. 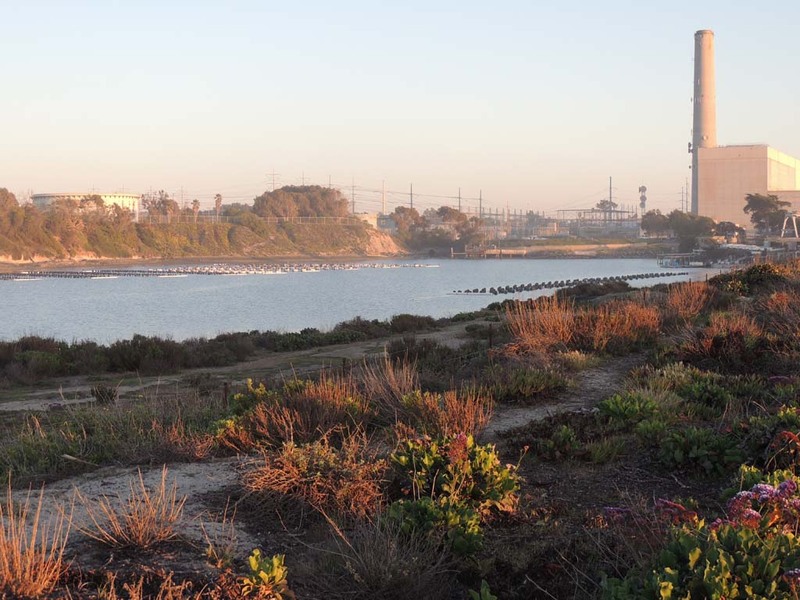 The aquafarm, the leading mariculture provider in Southern California, currently shares the Agua Hedionda Lagoon with NRG’s Encina Power Station. The power station uses the seawater from the lagoon to cool its generators and in doing so has maintained the lagoon by dredging sand to keep water flowing in from the ocean. The continuous supply of seawater, without having to pay for the maintenance, has allowed the aquafarm’s production to flourish. The desalination plant is being built on the Encina Power Station’s property. Once operational, the plant will take over the maintenance of the lagoon, which will allow the aquafarm to continue its production without having to pay for the lagoon’s upkeep. So long as the water in the lagoon stays fresh, the aquafarm will be able to continue its ecofriendly production of shellfish for regional restaurants, according to Peterson. Operations at the desalination plant should not affect the water quality in the lagoon, he added. The Carlsbad Aquafarm has grown mussel, oyster, clam, abalone, scallop, and culinary seaweed since 1990. The farm has recently started producing “live feed,” which includes micro and macro algae and brine shrimp, too. Peterson said the aquafarm is only able to operate by leasing the lagoon space from NRG at a below real estate value rent. The aquafarm’s lease will remain unchanged by the desalination plant. “To own or lease a place like that would be astronomically above what the aquafarm could pay,” he said. “We’re there by the grace of (NRG),” he added.